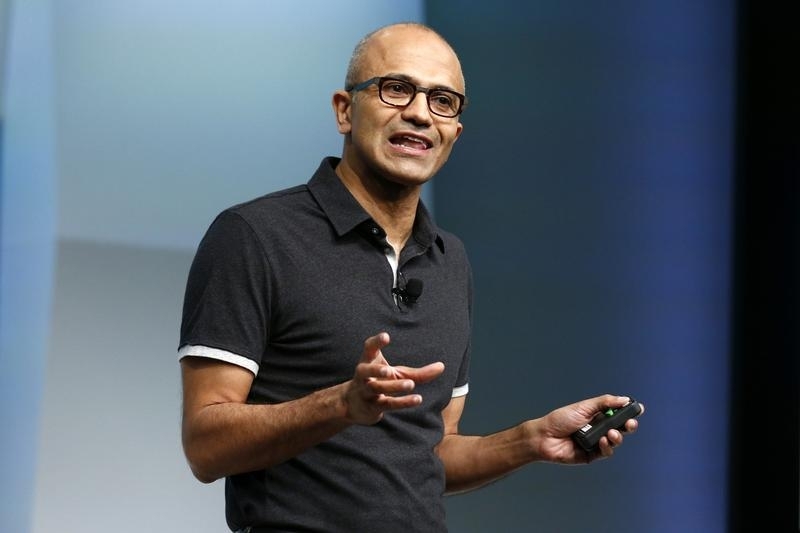 Microsoft’s Satya Nadella needs a better operating system. The software giant’s chief executive had a simple plan for his first year in charge – don’t repeat predecessor Steve Ballmer’s errors. He has been only somewhat successful, as Monday’s weak quarterly earnings show. Providing a clear long-term strategy would be more useful than just avoiding past mistakes. Ballmer’s reign was marred by overpriced acquisitions, misguided efforts to produce hardware and an inability to capitalize on mobile. Nadella’s emphasis on Microsoft’s corporate offerings has mollified shareholders, and the company’s cloud push has even provided a bit of excitement. Commercial cloud sales are growing at more than 100 percent a year. Nadella’s use of capital has also been largely prudent – the company just promised to finish $40 billion of authorized share repurchases by the end of 2016. He did have one notable slip when he splashed out $2.5 billion to buy the maker of Minecraft, at a pricey 20 times trailing profit for what could be a one-hit wonder. But the eventual capital destruction, if any, will pale besides Ballmer’s foibles. He spent, for example, $6.3 billion on aQuantive and wrote down nearly the entire purchase price five years later, in 2012. Microsoft’s weaknesses from Ballmer’s era are still evident. The phone business purchased from Nokia isn’t gaining much traction. Sales of new copies of Windows fell 13 percent compared to the same quarter last year. New PC sales are sluggish – Apple and other mobile devices are still taking bites out of demand. Companies updating computers running on the ancient Windows XP has provided a helpful tailwind, but that is petering out. And the company is attempting to retain Windows’ market share by allowing free upgrades for some users. All these factors threaten to squeeze the company’s decent 30 percent operating margin. That prospect helped persuade shareholders to wipe nearly $40 billion, or almost 10 percent, off Microsoft’s market value on Tuesday morning. Even so, the company’s still worth almost 20 percent more than when Nadella became chief executive. Reenergizing that momentum requires more focus on being a leader in providing on-demand software to companies. That’s a giant new market up for grabs. Microsoft has already lost the smartphone and tablet battle. Better to admit that and head for the cloud. On Jan. 26 Microsoft reported revenue of $26.5 billion for the fourth quarter, an increase of 8 percent from the same period last year. Earnings fell 11 percent to $5.9 billion, or 71 cents per share.